UHBC co-host and writer Walter Mason has nothing but praise for A Tale for the Time Being - a novel he describes as "the most original, and challenging, novel I have read in many years". 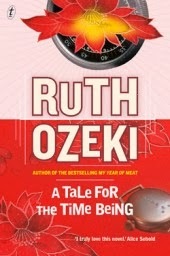 Many of us felt disappointed when Ruth Ozeki didn’t win the Booker Prize for her incredibly original novel A Tale for the Time Being. Me especially, because I was honoured to work with her at the Melbourne Writers Festival last year and I came away impressed by her wisdom, her gentleness and her great respect for and interest in the ideas of others. I have waited till now to review her book because I simply wasn’t confident about what I wanted to say about it. It is a novel so rich and so complex that I felt that any attempt by me to explain it must be totally inadequate. Perhaps I will begin with structure. A Tale for the Time Being is put together in a complicated way – multiple chronologies and points of view, stories within stories, characters as other characters. I probably don’t need to point out that Ozeki is herself a character in the novel, a creatively frustrated, blocked writer living on a remote island with an ecologist husband, mourning the recent death of her mother. The discovery of a young woman’s diary – recorded in a Hello Kitty notebook – washed up on a beach serves as the beginning of Ozeki’s fractured and multi-layered story about time, about writing, and about how the reader creates her own meanings. 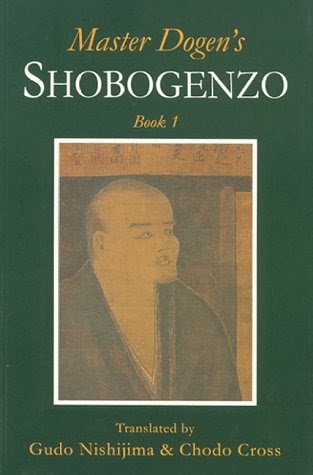 It is a story, too, about religion and rebirth, an exploration of some of the tricker implications of karma and rebirth, things that are very familiar to the novelist Ozeki, who is also a Zen priest. 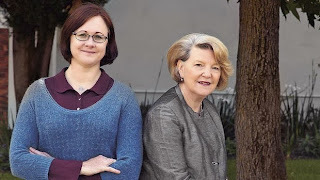 She creates in the book a remote mountain temple that is home to an elderly Buddhist nun, grandmother of the lost young woman whose manuscript was washed up on the beach. These are, perhaps, the most beautiful and poetic parts of the book, describing an almost-mythic Japanese landscape and reflecting on the transcendent beauty of the Japanese Buddhist aesthetic. The whole final part of the book, as well, explores theories of time and how we can shape and mould our experience of it. The ultimate effect is quite mind-blowing and one woman I spoke to told me she was unable to read another book for weeks after finishing this one because it had changed her conceptions so much and thrown her into a state of doubt about reality. This is, I think, precisely what Ozeki intends, and I can’t help but wonder what it might be like to spend an hour inside her head. In her writing she is entirely unafraid to throw things out wildly, to change and shift radically, to experiment and contemplate. It is certainly the most original, and challenging, novel I have read in many years. Ruth, the narrator of the book, is in a state of anxiety, and each of the texts (and texts within texts) that she explores convinces her of the fractured inconsequentiality of existence, but also of the terrible inevitability of time’s progress and the wilful ways we choose to ignore it. “Frittering our lives away,” she worries, just as the Japanese narrator, Nao, worries about her father’s sad and pointless existence. There is a great deal of playful post-modernism at work in the novel, with long excerpts, for example, of academic works on Japanese democracy, the recitation of Buddhist prayers and the frequent change of narrative voice and perspective. This probably sounds more daunting than it actually is, for Ozeki possesses great natural ability and charm as a writer and somehow brings it all together. I was left admiring her daring. The theme of this book is the multi-variant essence of time, and how a recognition of this should cause us to be more playful and joyous, rather than fretful at its passing. Ozeki’s “Time Beings” respect both the ageless sureties of continual existence and the fleeting pleasures of temporary materiality. It is thought-inspiring, incredibly clever and really life-changing. It explores the acts of writing, reading and recording, and how stimulating and creative reading can be, and it celebrates the importance of the creative conflicts between tradition and innovation. It is a novel both totally new and richly familiar. You’ll want to read it again. Please share your comments below. You can purchase this book POSTAGE FREE from this LINK. 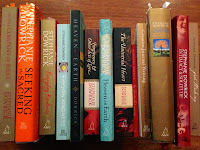 Or try our bookstore links above right - a tiny % is returned to us to support this website. 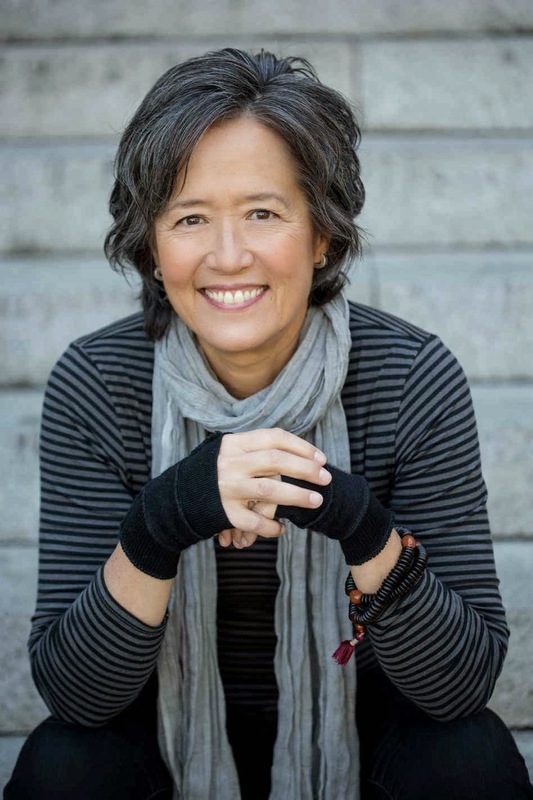 You can follow Ruth Ozeki's Facebook page here. Dr Stephanie Dowrick, for many years a psychotherapist as well as a highly successful writer, reviews the "astonishingly brilliant, brave, entirely lucid" Madness: A Memoir - and urges you to read it also. For a host of unimportant reasons, I postponed reading this book. Perhaps part of it was a sense that I "ought" to read it, co-existent with an expectation that I was unlikely to learn much that was new. How wrong I was. No one should read a book like this out of obligation. 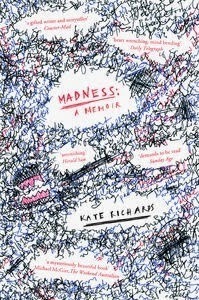 But everyone and anyone whose life is touched in any way by serious mental illness should read Madness: A Memoir because from it they will gain a depth of perspective rarely achieved anywhere in literature. It is impossible for me to praise this memoir too highly. Over the years I have read many accounts of mental illness or emotional and mental anguish, and prior to this might have been quick to name French writer Marie Cardinal's The Words to Say It as one of the most outstanding. We published that book many years ago at The Women's Press in London and at the time and for many years afterwards it attracted a great deal of respectful attention. Kate Richards' book is even better. Her literary skills are extraordinary; so are her gifts of analysis. The irony in that is, of course, palpable because during her many years of moderate to severely acute psychotic illness - from late teens onwards - her own "analysis" of her situation was sometimes necessarily severely flawed. That is the nature of madness: that one is entirely convinced by things, situations, voices that are not "true" and that too frequently speak, or appear to mean, harm. And, at exactly the same time, the absolute truth of this experience is so inadequately understood, respected, even listened to by the very people who have the power and opportunity to help. The arrogant, ignorant "deafness", "blindness", insensitivity and ineptitude of much of Australian psychiatry is on inescapable display here. The picture is dismaying. One psychiatrist after another passes through Kate's life, points a stick in her direction, writes a script or three (or 33), and moves on. Intimacy, empathy, comprehension, dignity, respect, interest: all lacking. It ought to be unbelievable. Sadly, it is not. This does of course raise very serious questions about why people would choose psychiatry as a profession if their levels of flagrant disinterest in their patients are so high. It's widely assumed (in the helping professions) that when people are psychotic they will be unable to respond to formal therapy. That's true enough, but with their heightened sensitivities (there were many times when Kate had to wear multiple layers of clothing to protect her skin from touch, never mind her feelings), severely mentally ill patients at least need and deserve the compassion and intelligent interest that is intrinsically therapeutic. Common sense and courtesy seem to be in alarmingly short supply, or are supplied mainly by psychiatric or community nurses, or other patients from time to time during Kate's fairly frequent hospital stays. In every relationship it is the atmosphere generated between people that counts most. This is made up of words, projections and assumptions, both conscious and unconscious. For it even to begin to succeed, trust must also be present that each person matters to the other. Martin comes out of his office as he always does - stiffly. I look to see if anyone else is in the room and then stand up. "Kate," I say, tapping my sternum. There are at least three reasons why Madness is so exceptional. 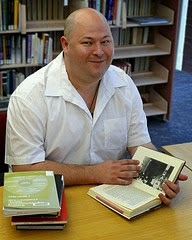 The first is Richards' shocking, credible exposition of current psychiatric practices in 21st-century Australia; the second is her capacity to bring to life the inner reality of madness and the havoc it brings in one's immediate outer world; the third is the deeply therapeutic, life-changing and life-saving relationship she eventually has with Winsome Thomas, a Melbourne psychotherapist whose quiet wisdom, patience and tenacity eventually allows Kate to be seen, respected, understood and - to a significant degree - restored to a workable, productive, rewarding life. The relationship between the two women - one so tormented, the other calm and utterly trustworthy - is beautifully told. There is a gradual unfolding here, as there was in "real life", with absences and an increasing depth of presence brought vividly and courageously to the page and fully into each reader's awareness. I will end this review as I began it: with unconditional praise for the literary merits of this book, for the genuinely exceptional artistry of the writer, and for the quiet, often-tested courage of Winsome Thomas and particularly Dr Kate Richards herself. Will this book become essential, required reading for all those working with patients like Kate who lack her voice - and particularly psychiatrists? I would wish so; how I would wish so. Loving congratulations to all who brought this journey of healing to us. I commend it to you. You can buy this wonderful book post free: Madness: A Memoir. 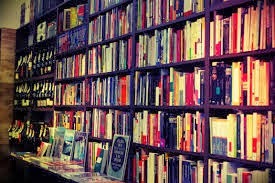 You can also buy any other book (postage free) from our linked bookstores - especially QBD. This returns a tiny, vital % to us to maintain this Book Club. 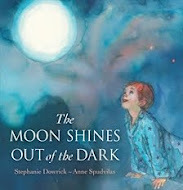 Dr Stephanie Dowrick has written more than 14 major books and is regarded as Australia's leading spiritual/psychological writer. Her own most recent book is Heaven on Earth: Timeless Prayers of Wisdom & Love.